Tottenham Hotspur are reportedly considering making a summer offer for Inter Milan winger Ivan Perisic. Could Ivan Perisic be heading to Tottenham? Inter Milan's Ivan Perisic reportedly has his heart set on a move to North London and would prefer to join Tottenham Hotspur over Arsenal. Inter Milan manager Luciano Perisic claims that Ivan Perisic was "conned" by transfer interest from Arsenal. Arsenal deal for Inter Milan winger Ivan Perisic off the table? Arsenal reportedly fail in their attempt to secure a loan deal for Inter Milan wideman Ivan Perisic. Arsenal are reportedly left facing a battle to get a second loan deal over the line before the end of the January transfer window. Arsenal confirm the loan signing of Barcelona midfielder Denis Suarez. Arsenal's Yannick Carrasco deal set to collapse? Arsenal reportedly miss out on the signing of Belgian international Yannick Carrasco after Dalian Yifang took him off the market. A report claims that Arsenal are holding talks with Chinese side Dalian Yifang to bring in Yannick Carrasco on loan. Inter Milan chief executive Giuseppe Marotta admits that it will be difficult to keep wantaway Arsenal target Ivan Perisic, but insists that there have been no offers. Denis Suarez will reportedly sign a new deal with Barcelona before joining Arsenal on a short-term loan deal ahead of Thursday's transfer deadline. Manchester United are reportedly no longer interested in signing Ivan Perisic, giving Arsenal a free run to sign the Inter Milan winger. Arsenal's only hope of offloading Mesut Ozil on loan to Inter Milan is to pay half of the German playmaker's £350,000-a-week wages, according to a report. Inter Milan director Guiseppe Marotta reveals that Ivan Perisic has handed in a transfer request amid reports of interest from Arsenal. Arsenal have Ivan Perisic offer rejected? Arsenal reportedly have an offer to take Inter Milan winger Ivan Perisic on loan rejected by the Serie A side. Arsenal make an attempt to sign Inter Milan attacker Ivan Perisic on loan, according to a report. Inter Milan-linked midfielder Luka Modric says that he is "happy" at Real Madrid and is not seeking a move away from the Spanish capital. Manchester United will reportedly be offered the chance to sign long-term target Ivan Perisic from Inter Milan later this year. Inter Milan willing to accept £45m for winger Ivan Perisic? Ivan Perisic, who recently admitted that he wanted to join Manchester United last summer, is reportedly valued at £45m by Inter Milan. 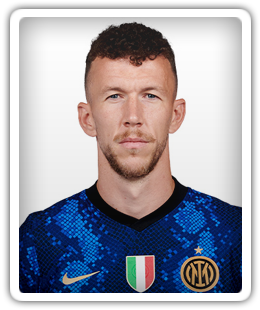 Inter Milan attacker Ivan Perisic reveals that he was on the verge of joining Manchester United in the summer before Luciano Spalletti convinced him to stay. Inter Milan attacker Ivan Perisic hints that he would like to play in the Premier League following intense summer interest from Manchester United and Liverpool. Sports Mole provides team news, predicted lineups and a full preview of Wednesday's Champions League tie between Tottenham Hotspur and Inter Milan. Manchester United midfielder Paul Pogba is reportedly being lined up for a return to Serie A by Inter Milan, who are willing to spend big on the Frenchman. England score twice in the final 15 minutes to come from behind and beat Croatia 2-1 at Wembley, sealing their place in the Nations League semi-finals. The World Cup finalists kept alive their Nations League hopes with a dramatic 3-2 win over Spain. Sports Mole looks at how Inter Milan could line up for Wednesday's Champions League clash against Barcelona at Camp Nou. Sports Mole provides predicted lineups, team news and a full match preview of the Champions League tie between Barcelona and Inter Milan at Camp Nou. Sports Mole looks at how Inter Milan could line up in Sunday's Serie A clash with AC Milan.